FDA says Dog Food Recalled over Potentially Toxic levels of Vitamin D.
The warning applied to at least 12 brands of dry dog food, some of which contained as much as 70 times the safe amount of vitamin D. While vitamin D is essential for dogs, high amounts can lead to kidney failure or death, the FDA said. FDA urged owners to stop using the recalled products. 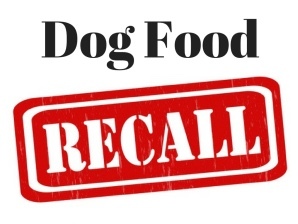 * ELM Pet Foods, Inc.
Vitamin D toxicity symptoms include loss of appetite, vomiting, increased thirst, increased urination, excessive drooling and weight loss. Toxic levels of the vitamin can cause kidney failure and death. Pet owners whose dogs have been consuming the brands below and show such symptoms are urged to contact their veterinarians. Illnesses related to the food can be reported through the FDA's Safety Reporting Portal or by calling FDA Consumer Complaint Coordinators.